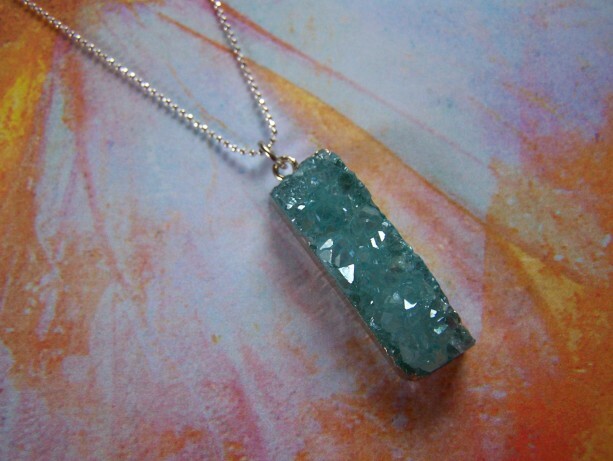 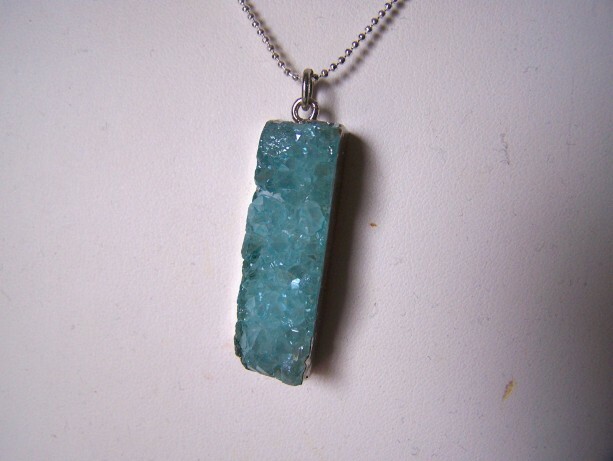 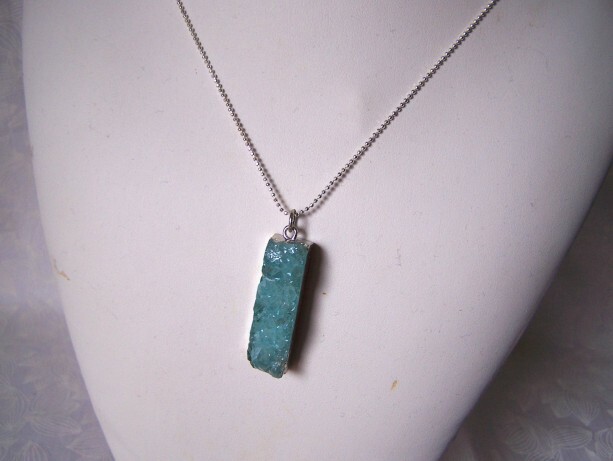 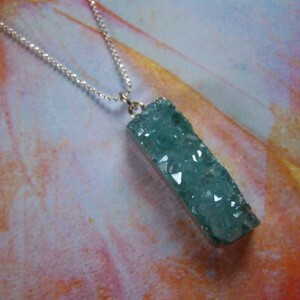 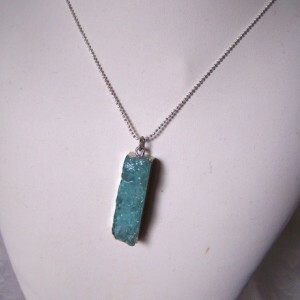 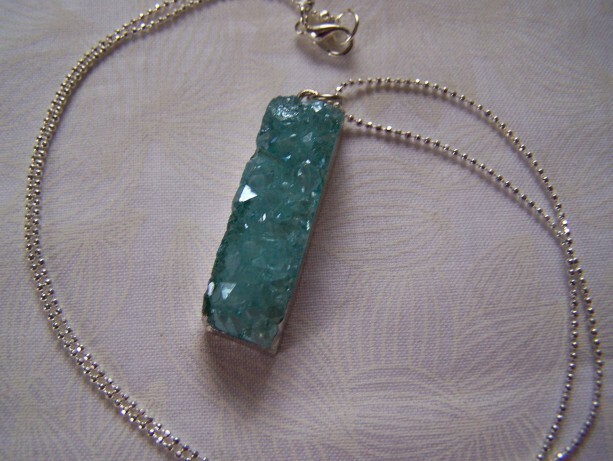 Rough Cut Quartz Drusy Pendant Electroplate This rough cut quartz druzy is a pretty aqua color with silver electroplating. 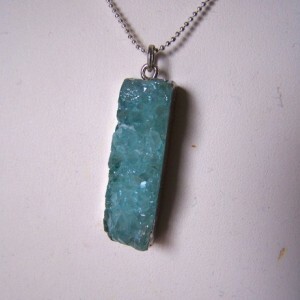 The rectangle measures 1/2" x 1 1/2". 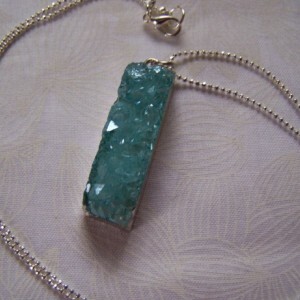 I have paired it with 20" of faceted silver tiny ball chain. 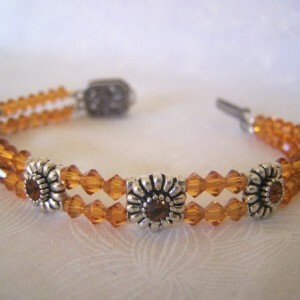 A great addition to your summer jewelry.